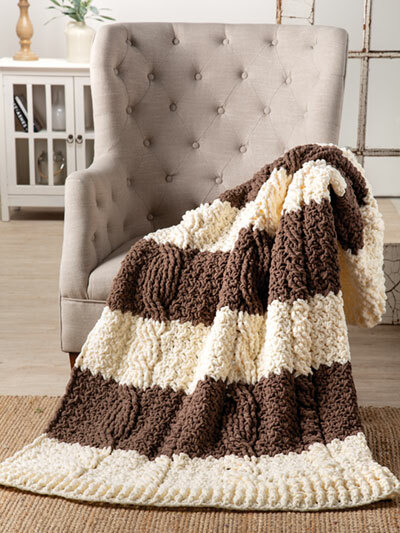 Cuddle up with this soft and luxurious cabled throw pattern made using blanket yarn. You'll love the feel of this soft and luxurious throw that you can crochet using Bernat Blanket Yarn . It's quick to make so you may want to crochet a few for gifts. 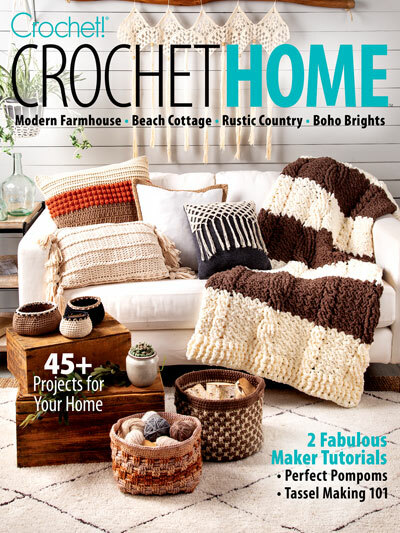 You may even get a few requests once others discover this comfy and cozy afghan to crochet! Size N/P/15/10mm crochet hook . Special stitch includes a wattle stitch. Finished size: 49"W x 60"L.